Create a statement within your hallway with the Facet Tall Celtic Pendant Light by Heathfield & Co. 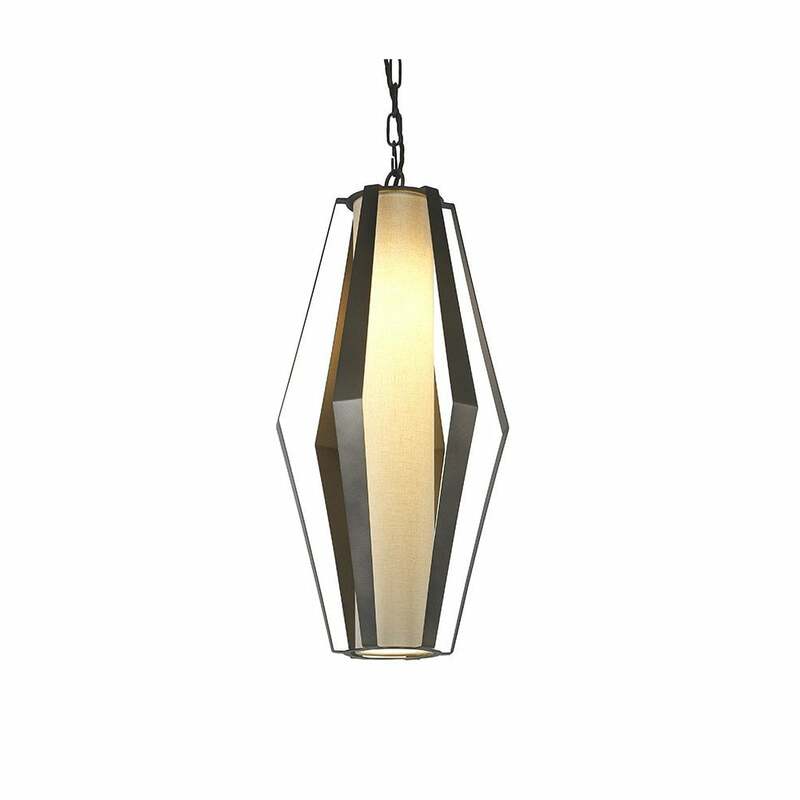 Featuring a laser cut frame in a strong geometric shape, this versatile pendant light works equally well in both modern and traditional interior schemes. Manufactured in the UK, the bold lines are complemented by a luxurious cylindrical shade in either a satin or linen material. A wide variety of shade options are available. Get in touch with our team for more advice, tips and fabric samples. Priced for 04" Facet Drum shade in silk with white PVC lining. Please contact us for other options.